Tata Kite has been in the making for a long time now. Spy shots surface regularly. This time around we have managed to get a perfect overview of the car with a shot of the interior as well. Tata introduced their first ever passenger car in the Indica way back in 1998. Over two generations it sold roughly a million vehicles. It was time to hand over the baton. 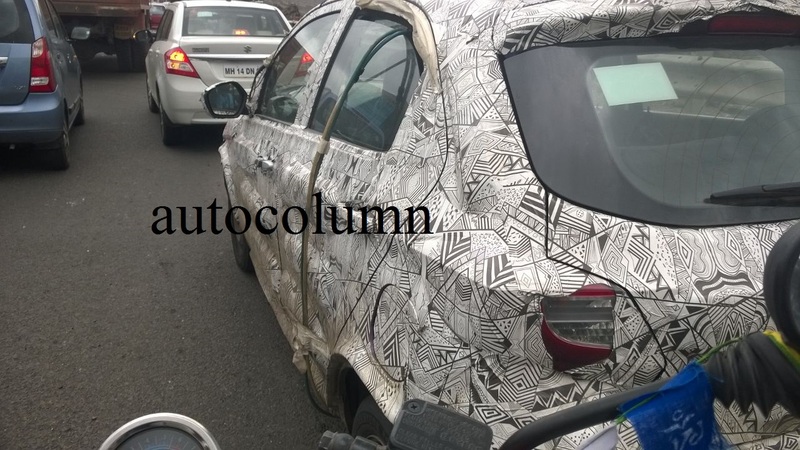 Kite may be the replacement for Indica which would compete in the 3.5-4.5 lakh category. Tata had been in a downward spiral for a couple of years now, loosing it number two position in the Indian car market which was mainly due to the reason that they did not have any new models. Facelifts and generation update simply did not catch the customers eye. However things have started to change. The Bolt, Zest, Nano GenX have given Tata some breathing space. The Kite will follow the new design language opted by Tata. From the pictures one can see that the headlamps are sweptback. It gets a rear spoiler The bumpers seem to be new. The indentation does not give away the side profile easily. The car will come with a short-diameter three-spoke steering wheel that will get audio/telephony controls, at least on the top variants. Other details that can be observed are rectangular AC vents, a 2-DIN audio system. electrically adjustable ORVMs. Also, the car seem to have a gearlever similar to the Zest. The space has never been a problem with Tata cars. 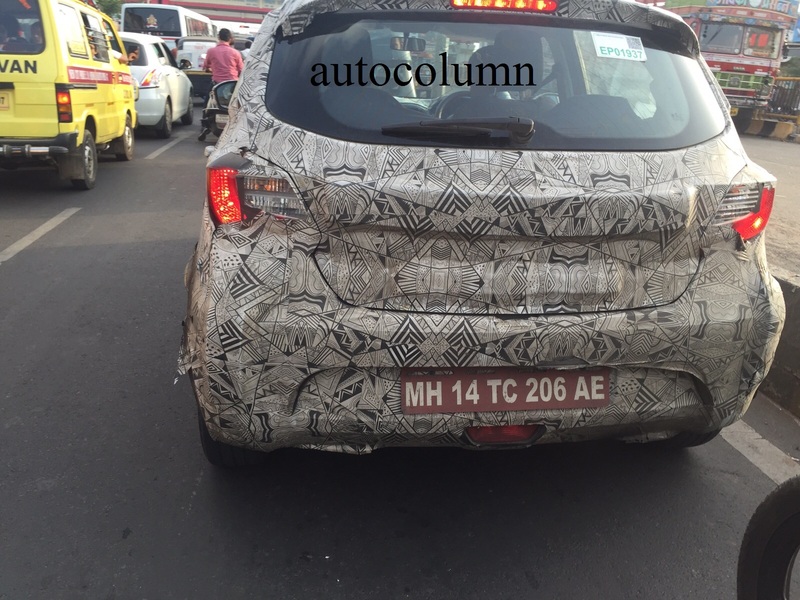 Problem has been the styling and the quality of the interiors. Tata made a significant improvement on both the ends. The Kite will feature a new 1.2-litre three-cylinder petrol engine with aluminium block and 4-valves per cylinder layout.The new engine is expected to have a power output of around 75 bhp. The diesel mill will be 1050cc three-cylinder turbocharged motor which was employs counter balancer shaft to keep NVH in check. A power output of around 63 PS is expected. Both motors will be mated to a standard 5-speed manual transmission. 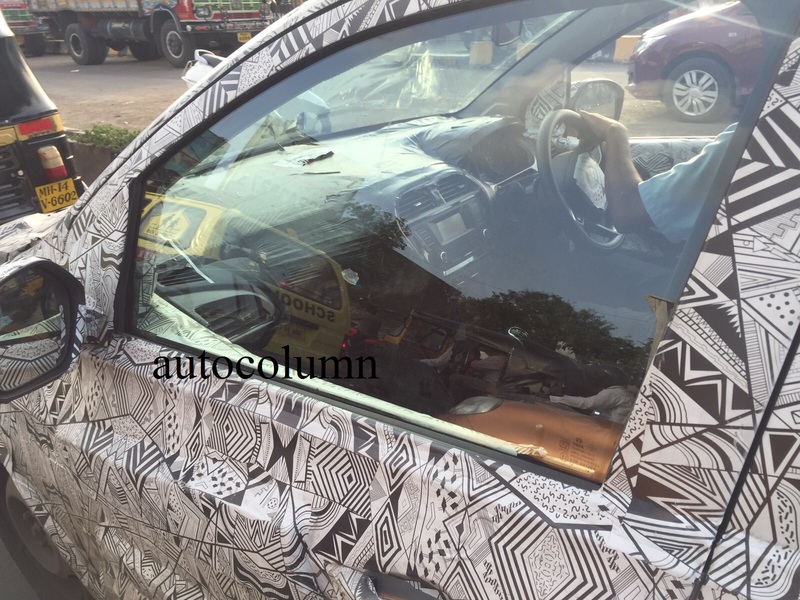 Now that automatic gearbox is the flavor of the season, expect Tata to strap it on onto the top end Kite as well. With the the all new Kite, I hope it heralds a change in fortune and let brand ‘Tata’ fly high once again!!! !